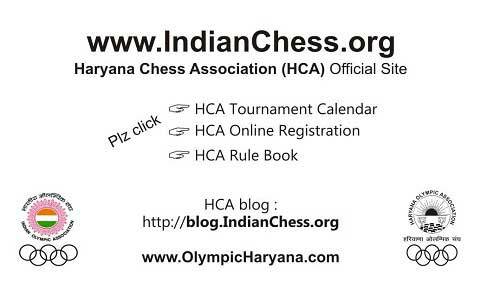 Every HCA District Secretary / President must conduct minimum Four HCA - District Chess Championships in a year (Minimum 1 in each quarter). Quarter will be April to June, July to Sept, Oct to Dec, Jan to March. 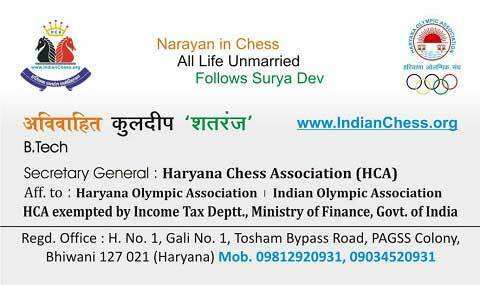 Every HCA District Chess Championship must having minimum 100 players. All HCA Distt. Secretary / Presidents are assistant of Secretary General HCA & works in the directions of him. None compliance of above rules will happen disciplinary action against Distt. Secretary / President.